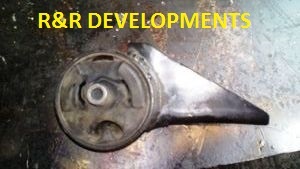 Do you suffer with engine mounting and Gearbox mounting problems on your Suped up vehicle or you simply don't get new mountings for that old street rod or rebuild that you are busy with well we have the solution we can have it remoulded with different rubber hardness from a 60 shore up to 75 shore and harder. 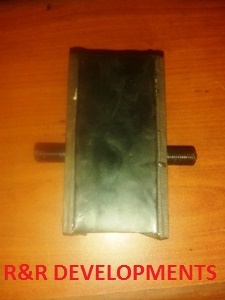 this picture shows a engine mounting of our drag Mazda 323 we can Recondition almost all types of rubber Engine and Gearbox mountings all we need from you is the old mountings so that we can use the existing metal casing the do the rubber refurbishing. This is the old standard mounting. 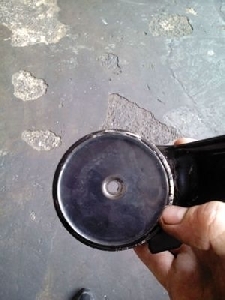 Reconditioned 70 Shore rubber mounting. 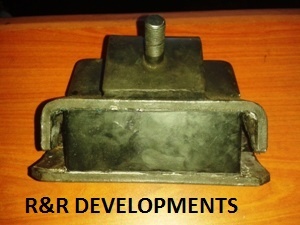 Engine mounting reconditioning Truck Bus or auto motive mountings. 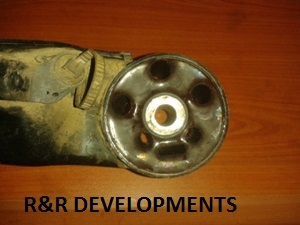 Engine and gearbox mounting reconditioning on cars and bakkies.